Nine discounted games up for grabs! With Nintendo of America's Damon Baker recently hinting at a potentially awesome line-up for new games this year, you may well already be dreaming about all the good stuff that is still yet to arrive on the Switch's eShop. 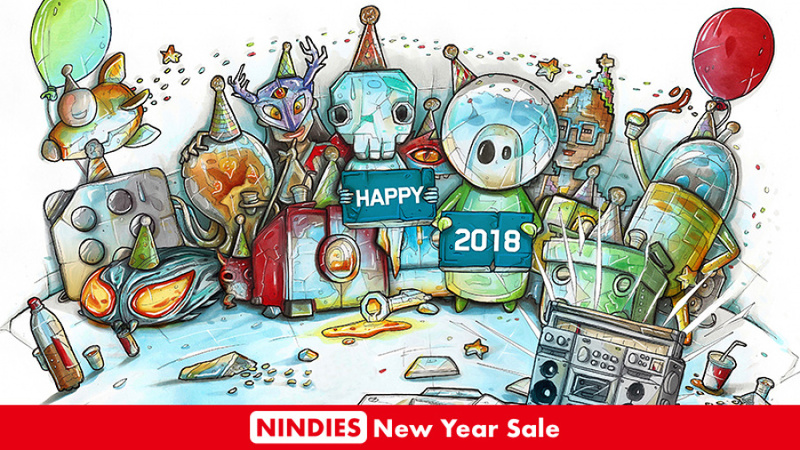 Before you go too far into the future, though, make sure to check out this Nindies New Year Sale and get your hands on some of 2017's best offerings at discounted prices. Lasting until 15th January, this sale has a total of nine games available, all of which are now sitting at very tempting prices that are up to 35% off. The sale is taking place in North America, Europe, and Australia/New Zealand, with the same discounts being applied to each game in each of those regions. You can see the full list of games below. If that wasn't enough good news for you, the developers behind these games have teamed up to present a huge giveaway with the winner receiving all nine of the games involved. There will also be a group AMA on the Nintendo Switch Reddit today starting at 11am Pacific / 2pm Eastern in North America, meaning 7pm UK / 8pm CET in Europe. If you have any questions for the developers of these games, this will be a great time to ask! Will you be grabbing any of these awesome Nindies during the sale? Let us know which ones you're tempted by in the comments below. Not that big of a sale, nothing for me. Not interested with those Indie games. The giveaway is a nice touch. I'll have to enter that. 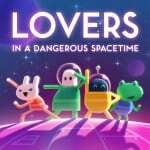 Lovers in a dangerous space time is a good multiplayer game. I’ve been debating whether to get it. So I’m happy with this sale. Nice, I've been waiting for a Thumper sale. @Ziggy93 Me too for LIADST. Also might finally try Graceful Explosion Machine. Can't remember what half those others are, I'll have to look them up again. Not exactly comparable the the UK Sale now is it? 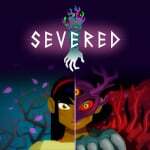 Severed was such an engrossing game. I can't recommend it enough. E-shop sales are one of these things were we've got plenty of room for improvement still. It wasn't part of the list, but I just picked up Oxenfree at 75% off. As for this list, Lovers in a Dangerous Spacetime looks enticing! Some good games on the list here. A short list, but a good list. 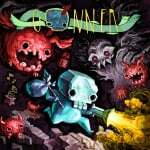 I might get GoNNER cause I like the art style, but I have so many games as it is. I'm playing Lovers in Dangerous Spacetime with my girlfriend on ps4, such a nice game, great for co-op. Finished Severed on my vita, one of the better games for that system catalogue. I'm thinking about Death Squared, it looks like lots of fun. I've had a ton of fun with GoNNER and Graceful Explosion Machine. Getting both for $16 is a steal. I'm entitled to $1 games! Screw you, Devs and Nintendo! @nab1 Mobile games being cheap or free-to-download (not really free though) seems to be the only facet many people see as a shining star in the Mobile market. Obviously, Nintendo should do the same thing. @PlayedNSlayed Gungeon is nightmarishly addictive! Finally reached the boss of the 5th chamber on my 80th playthrough. Doubt I'll ever collect all the necessary items to get the true ending, but maybe I'll beat the 6th chamber some day and it's loads of fun whether or not I ever do! Severed and GEM for me. were these not on sale anyway? These are not showing up for sale on my eShop? Thumbleweed park and thumper for me. Thumper thumped them all on this list. I highly recommend GoNNER to anyone who hasn't played it. Absolutely fantastic rougelike-esque action platformer. Where is that oxenfree discount ? Will we never get it in Europe ? Don't you have any info on that nintendolife ? If you don't have Death Squared already, buy it! It's tons of fun in multiplayer. Maybe even the best indie game on Switch right now. 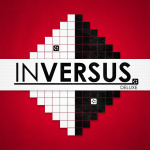 Inversus! 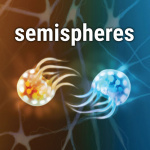 It's a perfect game for multiplayer with new people, I recommend it! 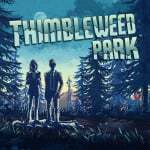 @BigKing Severed, Thumper, and Thimbleweed Park are certainly worth paying their eShop prices for. Not all indie games are shovelware. Inversus DX for me I think. I really liked Thumper in VR. I can't see myself playing it any other way, but I do recommend playing it in some way. Literally nothing I want, I would have jumped at Golf Story since I still haven't got around to getting it since other games have had priority. Death Squared looks like a ton of fun. I'm entering the giveaway pretty much just for that. Lol damn the comments here are brutal , atleast Nintendo is starting off the eshop sales properly this year ! One game only with 35% off. somewhat interested in Thimblewood park, but I still have too many other games to play especially since i just started in on xenoblade chronicles 2 lol. I went ahead and picked up Death Squared. Thimbleweed was the only other game I thought about. Some of the other games looked solid but I don't think they were games I would enjoy. Thumper would be another one but I have that on PC. @BigKing I agree with ya. 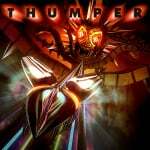 PSVR is literally the only way I’ve played Thumper, but I hear it’s fine on Switch. I love it in VR though. @kobashi100 I love Nintendo and my Switch, but their deals are just rubbish. It's almost insulting. They do stuff like 'ARMS SALE! !1 30% OFFZ' and it's still more expensive than the physical cart. Got some nice stuff on sale there. Unfortunately nothing I really want, so gonna pass this time.